Some of you might know me from my photo posts here, and I hope you’ll humor me as I branch out to talk about a subject I love. Or, well, more accurately, a subject I love to hate. 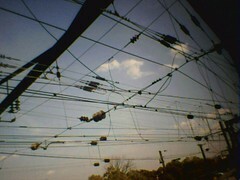 As anyone who follows my Twitter stream can attest, I’m not exactly happy with the state of Metro Rail at the moment. 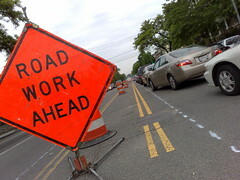 But I thought I’d start my new contribution to Talkin’ Transit on a more positive note. Many times, you’re on the platform waiting for a train and it breaks down. You’re headed home, tired, impatient. The big board was saying ten minutes until your train; now it says “No Passengers,” instead. 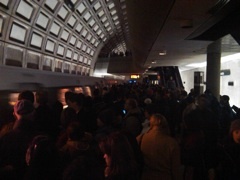 The announcer makes some vague pronouncement of a problem that is now cleared, “and all trains are moving normally.” When the next train arrives, though, you see it is jam packed — a Caps or Nationals game was just wrapping up, or worse, it’s still rush hour. A few years ago, Metro installed big expensive signs in every station. They were there to tell you a few bits of information: which elevators were out, when the next train was coming, and so on. On the screen that displays the trains, it also told you what color line the train was servicing and how many cars made up that train. 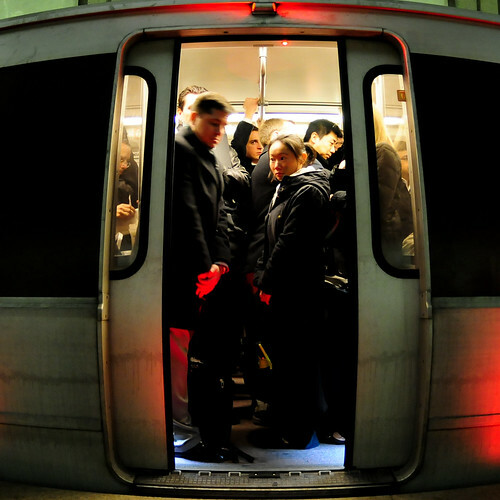 An offloaded train at Rosslyn Station in the midst of rush hour has resulted in some pretty bad delays on the Orange Line. Unsuck DC Metro Twitter is keeping watch. Thanks to Mark for the Twitpic. 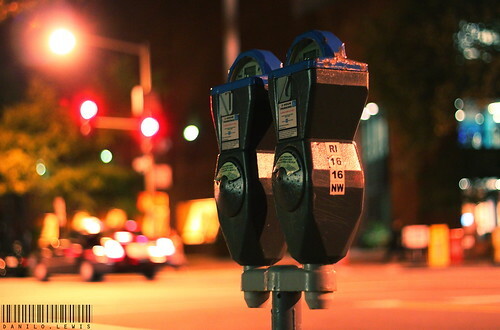 More details from the Post’s Get There blog. 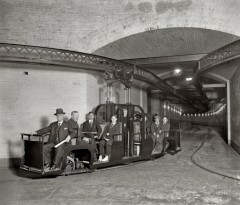 That’s the Senate Subway, c. 1915, just two years after it started operation, part of the whole Capitol Subway System. After the jump, you can see how the Senate Subway still uses open-air cars, though somewhat more modernized. Well, it’s not even October and I am already sick of the gubernatorial race in Virginia. Good job, guys. Between the Washington Post’s story on Bob McDonnell’s misogynistic thesis and the onslaught of ads and direct mail that Creigh Deeds has put out in the wake of it, it’s enough to make any voter apathetic. The Washington Business Journal has an article today on the two candidates’ opinions on transportation issues in Virginia, with a great quote from Richard McDonough, a Chantilly assistant district manager for Lane Construction Corp. and past president of the Virginia Transportation Construction Alliance. “We’re not pleased with either candidate’s position,” pretty much sums up the race so far, but is especially concerning considering how many Virginians who commute into DC are affected by this issue. The rainy day commute just got a lot worse if you’re on public rail. 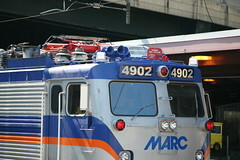 According to BNO News, a MARC train struck a passenger bus on the tracks in Hyattsville, and 40 people are being tended to after the incident. 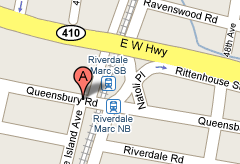 NBC 4 is on the scene, and reports it’s a pair of buses that collided, not a train and a bus. Update 2: WTOP is reporting it was a train and two passenger buses that collided, with six injuries requiring a trip to the hospital. Thankfully, no one was killed.